Property 1: Seaview Apartment in Port de Soller, minutes from the sea. Property 4: Seaview Apartment Port de Soller, minutes from the sea. Property 9: Gorgeus Sea View! Wonderful Beach Apartment In Port De Soller. Private Terrace. 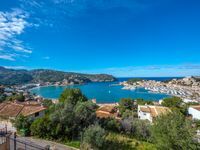 Charming beach apartment in Port de Soller. Swimming pool. Property 18: Charming beach apartment in Port de Soller. Swimming pool. Property 19: Apartment Miramar a perfect place to spend your holiday and to relax. Property 26: Waterfront apartment in Port de Soller. 10 meters to the beach. Free wifi. Newly renovated A/C Fisherman's cottage in the heart of Port de Soller. Property 29: Newly renovated A/C Fisherman's cottage in the heart of Port de Soller. House in Port of Soller FREE WIFI - Casa Crocodile with large terrace. Property 48: House in Port of Soller FREE WIFI - Casa Crocodile with large terrace. Property 50: Beach House in Port de Soller. Great terrace, gorgeous views! The little touches make a positive difference in this sweet vacation rental. The positives having most everything you need in kitchen; comfortable patio with table, lounge chairs, nice plants. Overall everything is in good shape and well maintained. The negatives: it is small in size, it was comfortable and for 2 of us It was fine, but still it felt snug. We used the outside area to hang out. The ceiling is low in all areas but the bedroom (I am 6&rsquo;2&rdquo; and the ceiling was at most 4 inches from the top of my head. We stayed here for a week between Christmas and New Years and the stay was fabulous. The home is big and modern with an amazing view. The weather during our stay was great and we spent almost every afternoon out on the deck with a glass of wine. When we weren't outside, we were still staring out the windows. The kitchen is well stocked and we made a lot of meals at home since many of Michael's recommended restaurants were closed. Everything in the house worked and the house was well heated for winter. Michael was very responsive before and after booking. No question was too small for him to answer. Ulrike, the local host, met us at the house and took us through everything. She was great and always available during our stay. Parking was easy, on the street, and the walk to the port about 5 minutes via road and stairs. There are tons of hiking trails all over the valley and the house has hiking guides in both German and English (thanks Michael!). Many of them you can start at the Port. There are no bad hikes but I would highly recommend the loop hike that goes up Cami Vell de Cuber and down the GR 221 (Hike 36 in Walking Paradise, Soller book) out of Biniaraix. Hiking down the canyon on GR 221 was awesome, the cave going up was cool, and the waterfall was neat. Market day in Soller is on Saturday, and is fun to walk around. Head down the street from the main square, following the vendors, and outside the meat market hall is the good (and cheap) vendor selling pastries. All types of ensaimadas, bread, other sweets. Overall, this was an excellent stay. It was our last week of a three week trip, and the house, the view, and the town were perfect. I would definitely stay here again. Thanks Michael!